New android app to keep track of a group of numbers, great for radio station games like Q107's Bullseye. Head on over to the play store and check it out! Head on over and let me know what you think. Head on over and let me know what you think, i have also uploaded some wallapers optomized for our mobile devices. Just uploaded a rom running Jelly Bean 4.2.2 with the bloatware removed. So if you have a branded Xperia ZL and want to remove the carrier bloatware and have the phone the way Sony wanted you to have it? Follow this link to read about the rom. Just uploaded a rom running Jelly Bean with the bloatware removed. So if you have a branded Xperia ZL and want to remove the carrier bloatware and have the phone the way Sony wanted you to have it? Just uploaded a rom running Jelly Bean with the rogers apps removed. looking to spend more time on adding new and interesting content to the site in 2013. As my interests grow and change I'm sure the site will reflect what I'm currently passionate about. Feel free to leave a comment or contact me if you have any questions. Kevin Nigro to the site. Kevin Is currently studying at Brock University and has a passion for MMA like I do. I can't tell you how excited I am to see what new articles Kevin brings to the site (I'm so excited). I hope all my readers are as excited about the new edition as I am. Kevin will be our new MMA writer (and maybe more...). lets all welcome Kevin with a big, LET'S GET IT ON!!!!!! 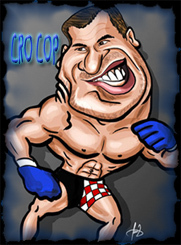 I miss Big John McCarthy! To learn more about Kevin you can read about him here. You can find Kevin's latest article here. 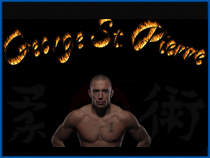 With the excitment of UFC 129 in Toronto, Ontario, Canada coming, I have made a few George St. Pierre desktop wallpapers. Have a look and feel free to comment good or bad. I must admit it's so much easier to add wallpapers now. The good news for me is, I can now spoend more time putting some wallpapers together and less time adding them to the site. Have a look and feel free to add any comments good or bad. I have updated the wallpaper site, as I was doing every thing manually and this caused a delay in uploading wallpapers i decided to change it to a script. Good news is users can now add wallpapers as well. You will just need to register. Have a look, Also feel free to sign up and leave some comments. You can find the new wallpapers here. Check out the UFC page. Great fight with Edgar vs maynard. Just made a few more wallpapers. Check out the downloads section. And yes they are still inline with my love for MMA. The main catagories are MMA and Smartphones, as this is new the catagories will likely change and more topics will added as time fgoes on. So if you would like to help out feel free to sign up and shoot me a message, you can create the message on the board or send me a message. I look forward to see where this will leed the site and look forward to new members joining. Check it out forums here. Check it out here Ringtones. Still inline with my love for MMA. Just made a few more mobile wallpapers. I have added some more wallpapers that i have created. This time it's a little different as these wallpapers are geared towards mobile phones. have a look and leave some comments, i like to here feedback good or bad. I have been working on some UFC wallpapers, you can download them on the download page, or leave a comment on the blog. If you like the flame idea and think you might like the flames in another color feel free to comment on the blog. You dont need to worry about the exploites below so long as you are letting windows update itself. If you are like me and set windows to update or check every day, it's a good idea to manually check once and a while, as some exploites like to turn off windows update. If you find that you are unable to run windows update see if your anti virus software is still running. If your anti virus is running do a manual scan. you will also want to run your anti spyware software, If after you have done all of the above and you feel you need help, feel free to Email me. Beginner’s Guide: Why is my computer slowing down? Some of my Favorite Software!! Looking for the APN settings for your Freedom Mobile Android phone? The settings should work for all android devices with LTE. Looking for the LTE settings for your Roger's Android phone? the Rogers Xperia T, link and download provided. Install only the one's you want. What better way to start off the new year with an Android top ten app list!! Some of these app's may surprise you? Anderson Silva displayed his exceptional skills in all aspects of the sport. The new Canadian Super Star!! What a performance by Canada's own Rory McDonald. I remeber the first time I saw him fight in the UFC and as good as I hoped he would be, he lost that fight. Well I just.. I can tell you this from experience, never under estimate the will of a free mind.. I know that these lists are very subjective and most likely what one person (the author) thinks is a must have. Well as I'm the Author here is my top 10 free Android list. yes Android needs more and I’m sure you could think of 5 things right now that you feel Android needs to add that would make it even better. Passwords and how to pick one!! Now you may be wondering why you need to put so much thought into a password, I will first explain why picking a secure password is very important and also help you detemine an easy one to remember. Well if you ask me it just means we have to wait a little longer for someone else to bring us the same type of tool.. Here's an excerpt form the developers web page. Read the full article wp7 chevron discontinued here. Have you got hit by this? So here we go again, I suspect this sort of program is not going anywhere soon. So we as users need to make sure we are protected and keeping an eye open for this sort of malicious program. The worst part is we really don't know what to look out for right! Well I just want to say this and take iot for what it is. Stop using LIMEWIRE, it's a haven for malicious programs, software, viruses and everything else bad for our computers. I know that these lists are very subjective and most likely what one person (the author) thinks is a must have. 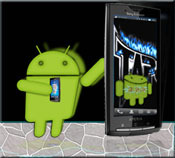 So i will be adding my top 10, the apps that I think will help improve the usefulness of you new android smartphone. Let me fir st say, i have been running the update for over two weeks. I waited to write a review to make sure it was not just my excitment of the update and a true review of performance and everyday use. Remove default apps from Android. Want to get rid of Moxier mail!!!!! Have you been looking for a way that is easy and does not include using terminal? If you have then follow this guide and see how easy it is to remove the default apps that Android or your carrier has installed. All you need is Titanium Backup, you can read the rest here. Well I have some good news!!!!! Looks like Sony Ericsson has finnaly released Android 2.1 for the X10. As of this writing it has started to roll out in europe only. I will keep you updated when i see it hit the North American market. As expected the guys over at XDA have already released a global rom, you can read more about that here. I will be adding a full review here in the comming days. Well I have some great news!!!!! As you can imagine this will change everything!!!! If you have owned a Sony Ericsson phone before you may be familiar with this!!!!!! Has Android left you feeling like they left out the ability to mange your Contacts? After a few hours going through the options and reading some reviews, I think I have a safe and reliable way to get the job done. Great case for an all in one system.